Below you’ll find some of my favorite books–I think they’ll become your favorites, too! Some helped get me started on my unprocessed journey, others are cookbooks we use every day in our kitchen, and still others have helped me learn, think, evaluate, and grow. Quite a few have been written by friends of mine, so that’s pretty cool, too. If you click the images below and buy them from Amazon, a small portion of your purchase will go to support my site. Thank you! How One Anonymous Teacher Revealed the Truth About School Lunches --And How We Can Change Them! 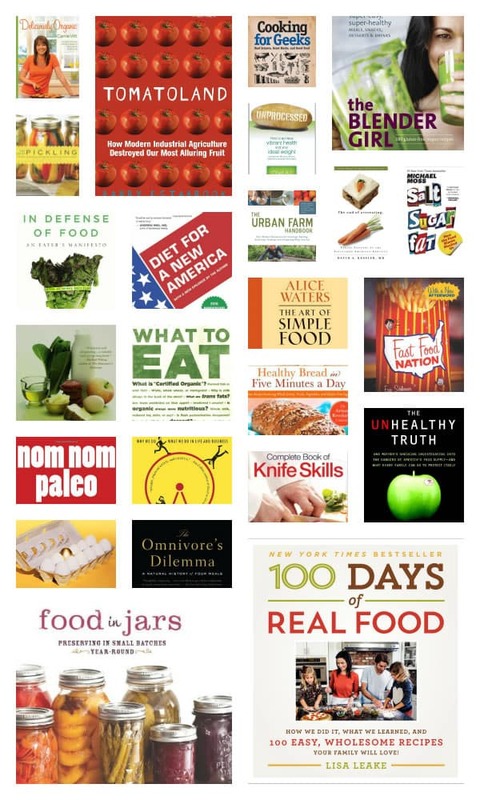 The definitive guide to making healthy and informed choices about food.